Many rooms qualify as low light, especially in winter. Rooms with north-facing windows, rooms that are partially shaded by outdoor trees, or even interior tabletops that are not close enough to a window are all considered low light applications. Although no indoor plant will grow without any light, many are capable of adapting to low light conditions. There are certain low light indoor plants that are perfect to add color and warmth to an otherwise dark environment. In addition, it is proven that by including an element of nature, your surrounding environment will be more calming and soothing. Typically, low light plants grow slowly. Their sluggish growth habit means they need less water, minimal fertilizing or repotting. Simply put, low light plants grow perfectly fine with some neglect and will not interrupt your busy lifestyle. And, as and added benefit, they clean and purify the air. 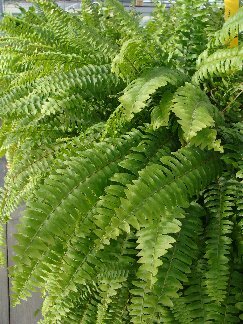 Not all Ferns will thrive in shady corners, but it’s save to say that many of the finest are easily suited to low light conditions. Although green may be the primary color choice, their leaf textures and shapes make ferns an elegant addition to rooms with little light. They are very hardy and of course, low maintenance plants. 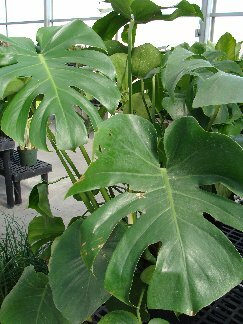 Philodendron plants are cherished for their ease of maintenance and ornamental foliage. Some species climb, others are shrub shaped. Most varieties boast heart-shaped leaves that are filled with rich-color and a high-gloss sheen. Climbing Philodendrons can be trained to grow on a pole, creating a slender upright shaped plant. Considered anything but plant-like, the Pothos Vine thrives in a dark, dry situation. A win-win for a shady site, is the fast growing, kill-proof Devil’s Ivy plant. Considered the most versatile houseplant available, it can be grown as and upright plant, hanging basket, or even as an under-planting for a large potted indoor tree. 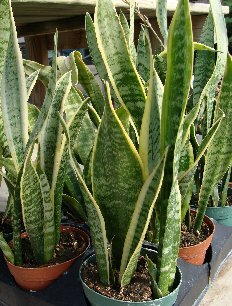 Snake Plant or Mother in Law’s Tongue, are columnar-shaped plants with thick fronds that grow straight up. 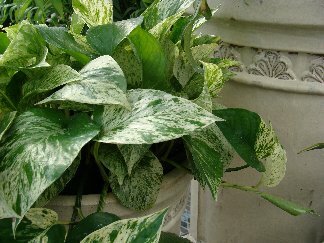 The long leaves are variegated (either banded or with a contrasting border) and compliment any narrow space. When grouped, Snake Plants create a dynamic presentation. These plants are among the toughest of all houseplants, and an excellent choice for someone without a green thumb. 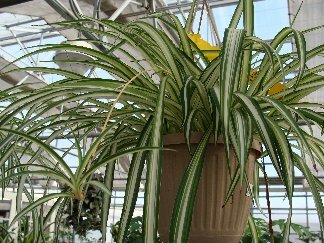 Spider Plants can be grown as hanging or trailing plants, in baskets or pots. They will survive for a long time in less than ideal light conditions, including artificial light. These easy-care plants are perfect for a beginner gardener and one of the simplest plants to propagate. Gently remove the tiny baby plants and place the roots in water. Once the roots reach 1-2”, transplant them in a container with potting soil.